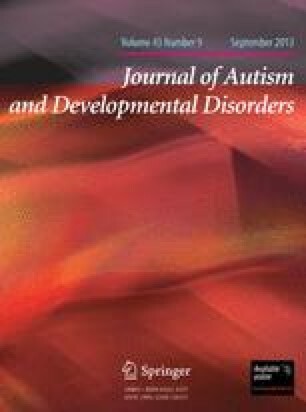 This paper explores the possible pathophysiologic mechanisms which might underlie the unusual motility disturbances which occur in autistic children. These motor behaviors are in some way related to the faulty modulation of sensory input which is also a significant feature of the autistic syndrome. Psychologic experiments have revealed that autistic children learn through manipulation and position cues rather than through normal perceptual processes. It is therefore suggested that their spontaneous abnormal motility may be the autistic children's way of making sense out of both exogenous and endogenous sensations through kinesthetic (sensorimotor) feedback. Experimental demonstrations of a deficient oculomotor response to vestibular and visual stimulation parallel clinical observations of the hypomotility also seen in response to sensory stimulation. Review of the neurophysiology of the vestibular system reveals that the vestibular nuclei modulate motor output at the time of sensory input and sensory input at the time of motor output. It is suggested that a dysfunction of the central connections of the vestibular system with the cerebellum and the brain stem may be responsible for the strange sensorimotor behavior observed in autistic children and may also have implications for understanding the manner in which autistic children learn, since clinical studies point toward a strong motor component to their perceptual processes. Preprinted by permission fromChild Development, Deviations, and Treatment: Proceedings of the First International Kanner Colloquium, October 31–November 2, 1973, University of North Carolina, Chapel Hill, North Carolina. New York: Plenum Publishing Corporation, in press.